The Blanton Museum of Art presents La línea continua, a selection of approximately 70 works from the Judy and Charles Tate Collection of Latin American art. Recently gifted to the museum, the collection—the entirety of which will ultimately come to the Blanton—includes painting, drawing, prints, sculpture, and mixed media works by artists Tarsila do Amaral, Lygia Clark, Frida Kahlo, Carlos Mérida, Wifredo Lam, Armando Reverón, Diego Rivera, Alejandro Xul Solar, and Joaquín Torres-García, among others. Spanning the early 20th century to the present, it features many artists who were key to the creation of modernism in Latin America. 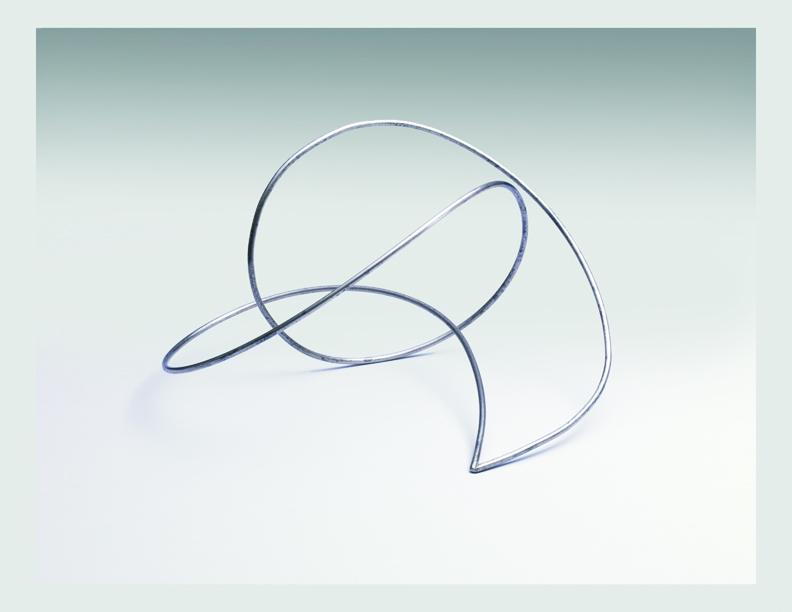 La línea continua takes its name from an elegant sculpture which will be on view in the exhibition by Enio Iommi: a stainless steel “line” that traces an infinite loop in space. Other highlights include a 1917 cubist-period drawing by Diego Rivera; two cubist paintings by Wifredo Lam; an abstract glass mosaic by Carlos Mérida; a 1946 drawing by Frida Kahlo; a 1951 surrealist painting by Leonora Carrington; mid-20th-century Kinetic art from Venezuelan masters Jesús Rafael Soto, and Carlos Cruz-Diez; Brazilian Concrete and Neoconcrete art by Lygia Clark, Willys de Castro and Hélio Oiticica; and whimsical contemporary works by Jorge Macchi and Sebastián Gordín. A fully-illustrated catalogue of the Tate’s gift will be published in fall 2014, and will include a preface by UT Austin President Bill Powers; an essay by Blanton Curator of Latin American Art Beverly Adams; and Blanton Director Simone Wicha in conversation with Judy and Charles Tate. To bookend and contextualize the works in La línea continua, the Blanton has organized two counterpart installations that together span much of the history, culture, and geography of Latin America. Re-envisioning the Virgin Mary: Colonial Painting from South America features seven paintings on loan from two of the country’s most distinguished collections of colonial South American art—the Patricia Phelps de Cisneros Collection, New York, and the Marilynn and Carl Thoma Collection, Chicago. The paintings, created in what are now the countries of Peru and Venezuela, represent devotions to Mary that were popular in Spain in the 17th and 18th centuries and brought to the Americas by Spanish colonists. On the contemporary front, a selection of works from internationally recognized artist Doris Salcedo will be displayed. Salcedo addresses themes of loss and mourning with works that cross international boundaries. Employing domestic objects such as furniture and clothing—once activated and personal—her sculptures explore the history of violence and oppression in her native Colombia and beyond, giving voice to the marginalized, missing, or deceased. Wednesday, October 1st, 2014 | 3:30 p.m.
Wellesley College Latin American Art Professor Jay Oles speaks about Mexican modernism as represented in the Tate collection. Funding provided by the M.K. Hage Centennial Visiting Professorship in Fine Arts. Co-presented with the Center for Latin American Visual Studies. Thursday, January 15, 2015 | 6:30 p.m.
Blanton curator of Latin American art Beverly Adams discusses the dialogues between European art and pioneering Latin American artists featured in the Tate collection. La línea continua is organized by the Blanton Museum of Art.